Putting Your Storage On Display | Donnegan Systems Inc.
A lot of markets are currently experiencing a storage trend that combines storage with display. No longer is a storage system something to keep in the back room away from public view. 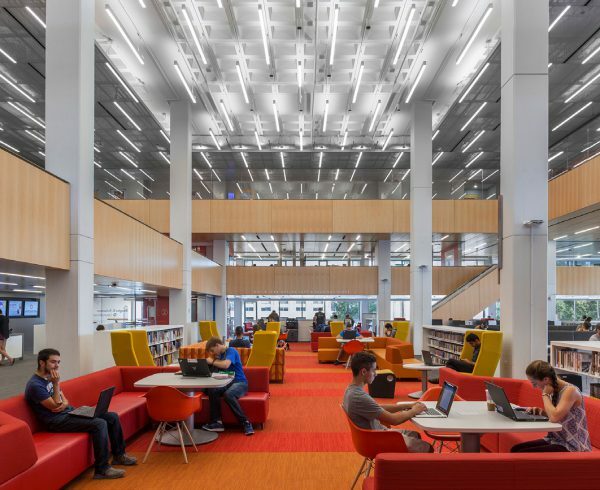 With space as a premium in Museums, Retail and Commercial Spaces, Academic Facilities, and more, storage space can no longer simply be storage space. These areas are being transformed to serve many different purposes, and our storage solutions are adapting with them. 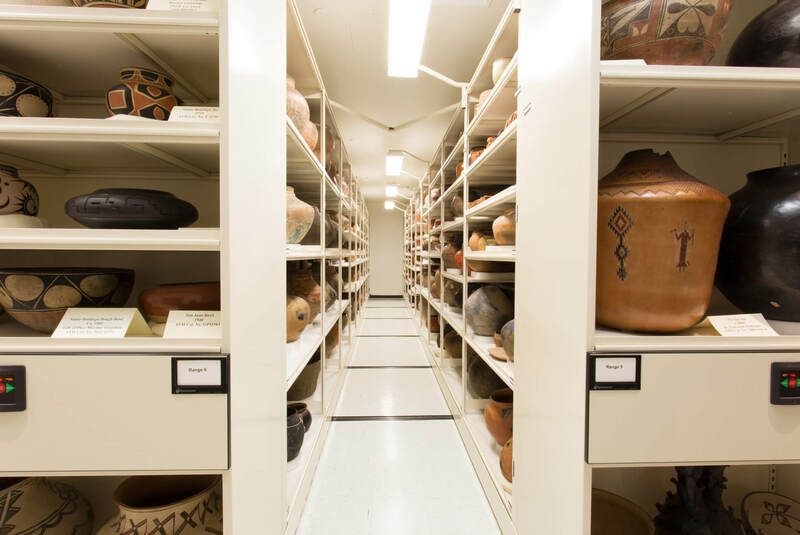 This blog post discusses the benefits of storage as display and gives real life examples within the Museum, Academic, Retail, and Commercial markets. 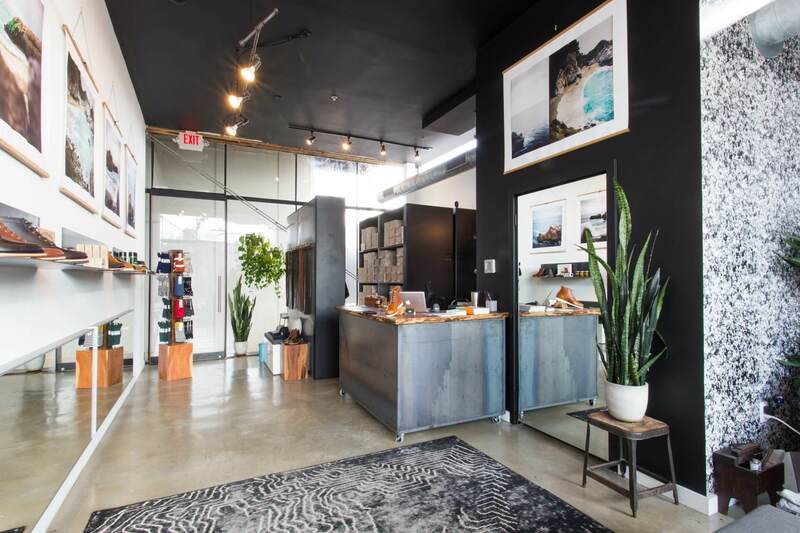 Having a showroom is beneficial to many industries including Collegiate Athletics, Retail, and Commercial spaces. The above an below images are of a lighting manufacturer’s showroom. 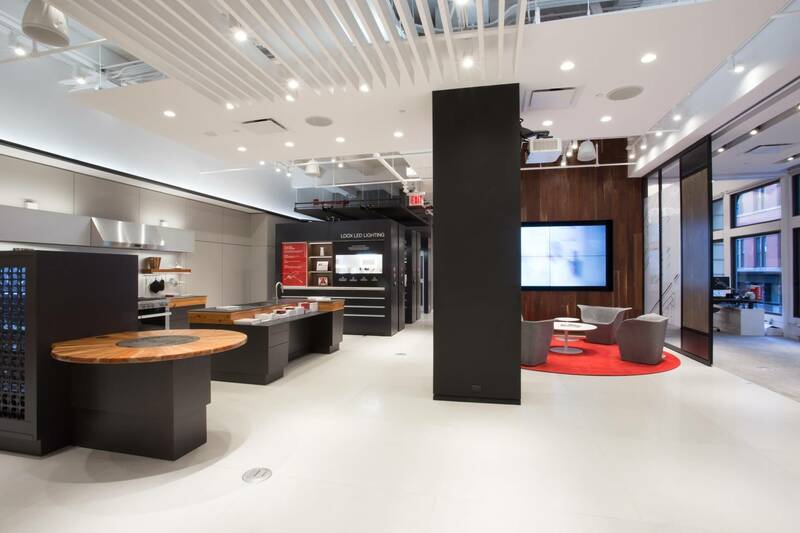 This manufacturer decided to save some extra space by combining storage and display in their NYC showroom. They knew many potential clients would be viewing their showroom so it was important that their High Density Mobile Shelving unit matched the aesthetic of their showroom. Collegiate and Professional Sports are no stranger to using storage as display, and they have been using it as a recruiting technique for years. 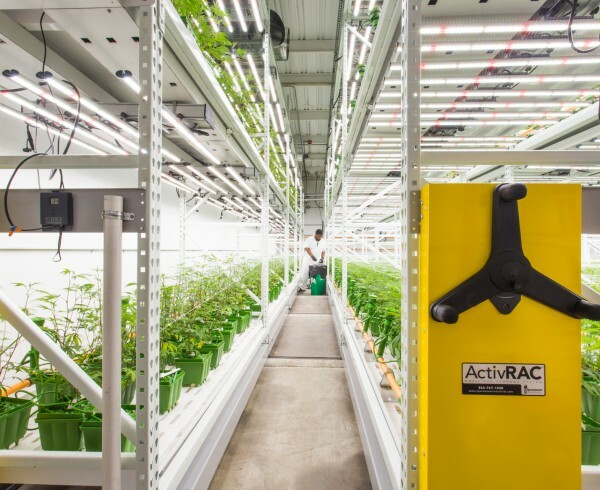 With more and more storage solutions coming out every day these systems can now be retrofitted and customized down to the smallest detail. Many athletic organizations and universities have reported success with using their showroom to recruit valuable players, not to mention the added benefits of improved staff morale and equipment organization too. The above image is one of the most clever ways we have seen to double storage as display. 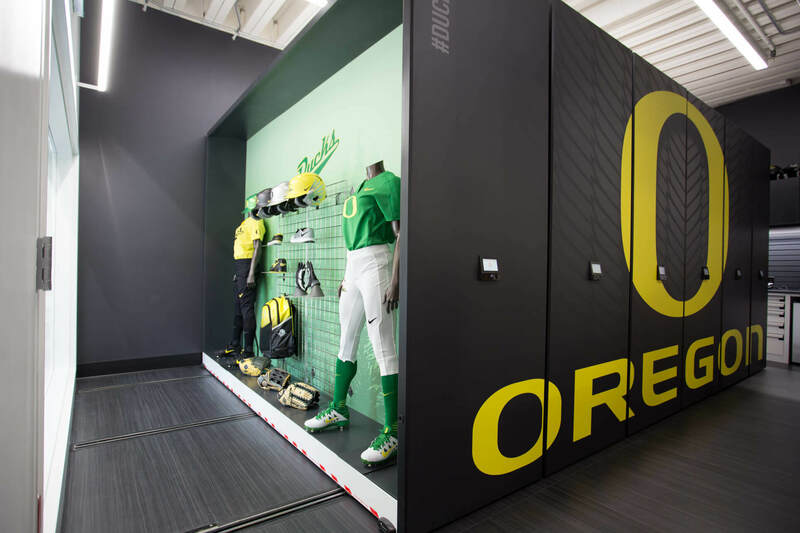 The first carriage of this High Density system displays athletic gear behind a glass wall, so that people walking through the Athletic Center can get a sense of the team and their brand. Behind the glass wall is more storage that can be accessed via the equipment storage area by equipment managers and other staff members. Another market that is currently experiencing this trend and becoming heavily saturated with storage as display is the Museum market. Museums typically have about 98% of their collection in storage at any given point, putting storage space at a premium in a lot of these facilities. Museums both large and small are transitioning to putting more of their collection on display, without taking it out of it’s protective storage. 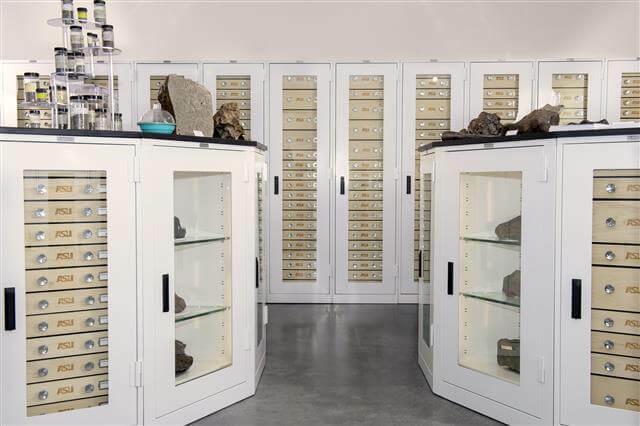 The below image is one example of how to double storage as display – by organizing small stones and gems into individually sized drawers they are able to keep accurate inventory as well as give each stone its own home within a protective cabinet. 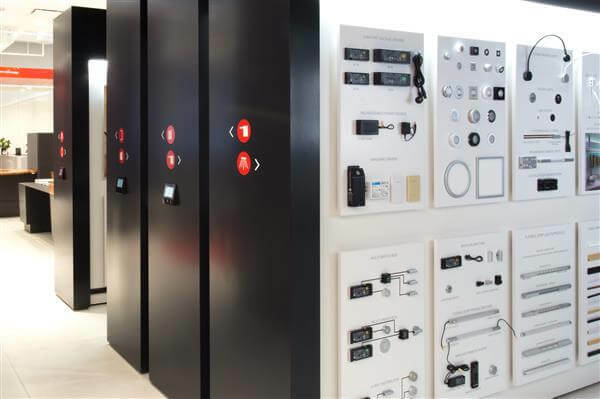 Visible storage has met its match with these beautiful cabinets that function as both storage and display. 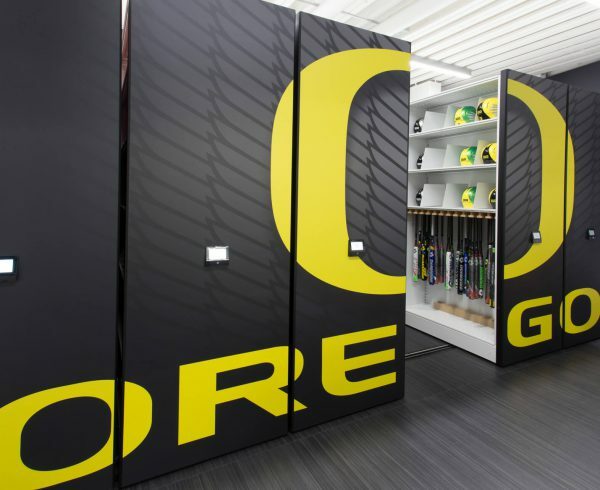 Another way we have seen visible storage implemented into a museum is similar to the showroom technique used by the university of Oregon in picture three. The below image was at the Arizona State Museum, where they attempted to attract new visitors by allowing the public to view curators at work. 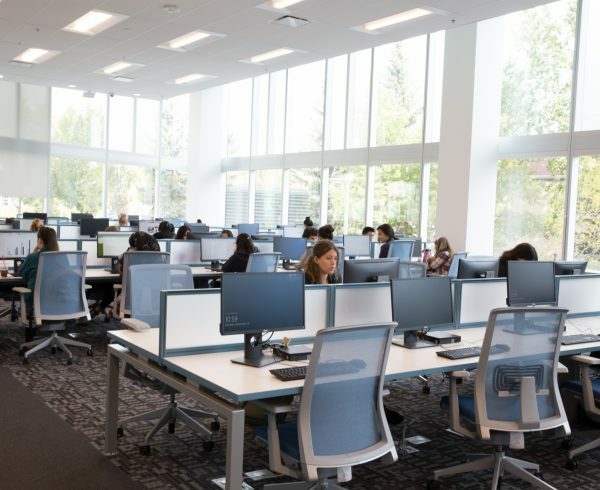 This High Density Mobile system was designed for a climate controlled room and end panels with shelves allow for staff members to change what is on display at any given time. A glass wall separates museum visitors from the pottery and working staff members. 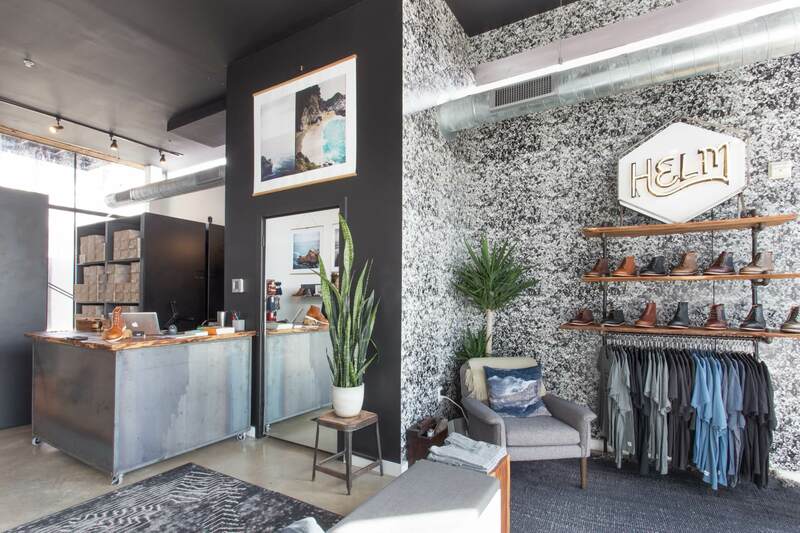 Retail space is another area where space is always at a premium because store owners want to have as much inventory on hand as possible, while still leaving enough room for people to shop and for staff members to work. Combining storage as display in this market will accomplish two things: it will allow for greater space savings which in turn means more inventory on hand, and the beautiful storage will also impress shoppers and improve the shopping experience. The above image shows how Helm Boots used storage as display at the front of the house. 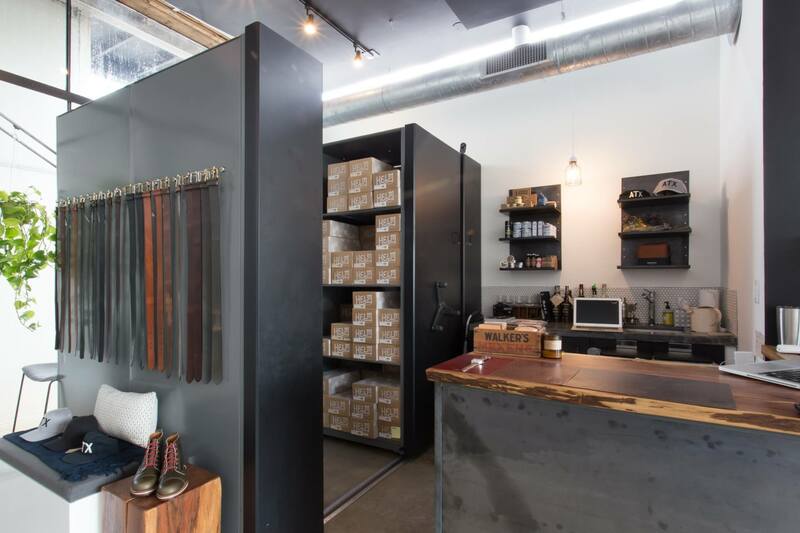 This Mechanical Assist mobile system not only houses extra inventory that is easily accessible, but having the end panel custom designed for belt storage allows for the system to seamlessly integrate with the aesthetic of the store. Have questions about Storage and Space Planning? Fill out the short form below and we’ll be in touch!